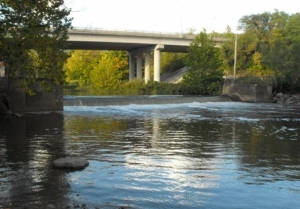 If the weather cooperates, work is scheduled to begin next week on the removal of a low head dam at Danville’s Ellsworth Park. Mayor Rickey Williams says the work is scheduled to begin on Tuesday, February 19th. 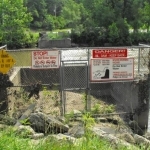 The City of Danville was notified a year ago that the Illinois Department of Natural Resources planned to release funds to remove two local dams. One of them, which had been located along the Vermilion River behind the Public Safety Building, has already been removed. The dam at Ellsworth Park is located in the North Fork River. Debate over whether the dams should be removed rose in 2013 when the Director of the Illinois Department of Natural Resources announced the state would recommend removing them. Some fishermen objected claiming it would be detrimental to fish habitat in the area. Over the years several people have drowned at both locations. Proponents of removing the dams have said it will allow canoeists to travel downstream to the Wabash River.